You’ve probably read one of the signs and come to this page for more info. 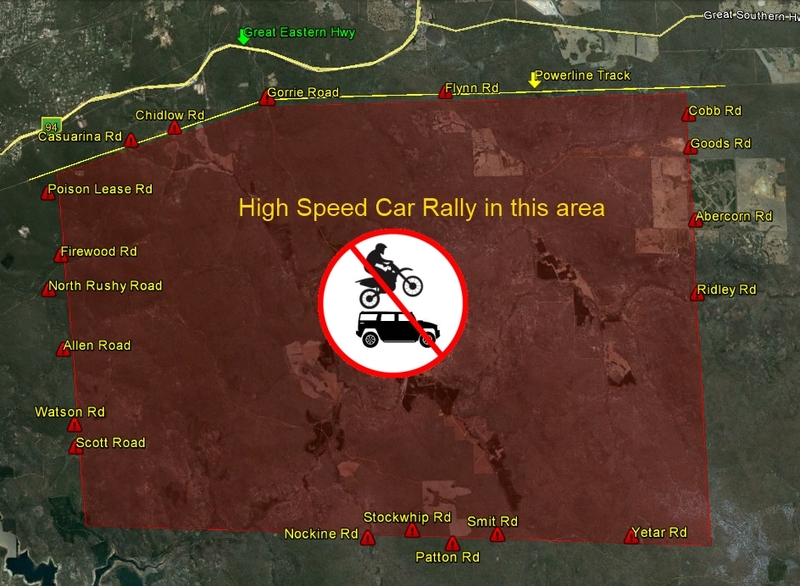 The area where the sign has been posted will be legally closed for a round of the State Rally Championship under authority by the WA Police Dept, the Department of Parks and Wildlife and the Water Corporation. The main focus of the Rally Organisers is safety. Please do not risk your safety or the safety of others by entering this area on the date(s) of the event. Below is a map of the area that is closed during the period of the rally.